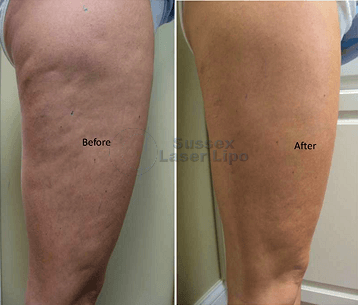 Our unique Ultimate Cellulite treatment protocols are what we call “cumulative therapies”. This means they work immediately during each treatment but, in order to achieve optimal results, a series of treatments is required over a period of weeks. This enables the time needed in between treatments for the body to react naturally to the stimulating effects of the therapies and re-construct the tissues being targeted to naturally achieve the objective; smoother, tighter and more supple skin, without the dimpled, “orange peel” appearance. A course of 8 treatments, carried out over a 4 week period is priced at £640.